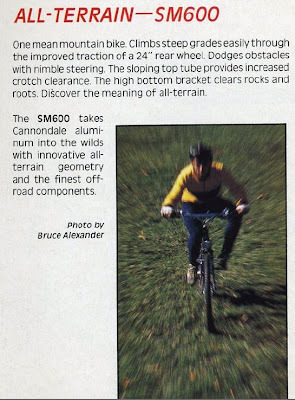 Cyclesnack: Cannondale SM-600 on the Clist! Boy would I like to get one of these, and with drum brakes, too! The true pre-cursor to the whole small wheel in the back and big wheel up front movement, and for an easy hundy! I am really tempted but I imagine the frame is probably too small for me. It, just looks small. 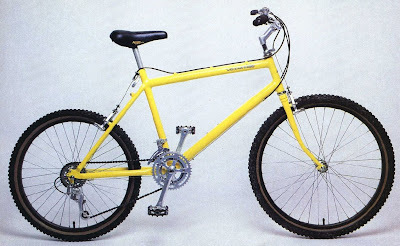 In fact if you stare at it long enough what it looks like is simply a BMX frame with bigger wheels. 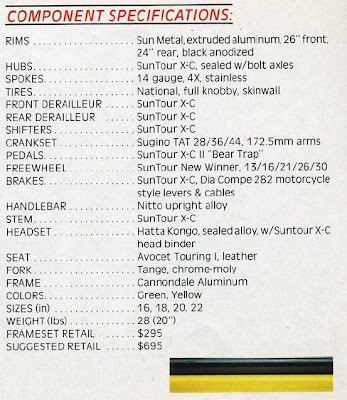 So, 24 inch wheel in the back and 26 inch wheel in the front makes this bike 64er? Other people opt to call the 69er a 96er but I prefer looking at the bike from front to rear rather than rear to front. But if you did take the other approach I guess this means you would have a 46er. Sounds better. Great find. 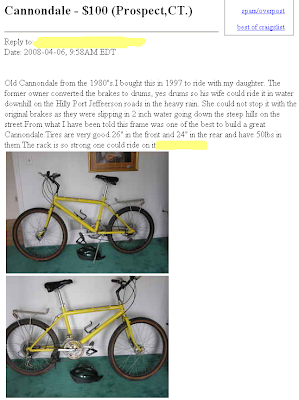 I have a Red / Yellow early 1990's Cannondale M300 with Rigid Front. I bought a RockShox Judy fork and beat that puppy to death. Great bike. I eventually build her back to rigid bike and sold her for about $200.00 after 7-8 years of riding and pulling a burley trailer.